The difference is easy to see! Easy to see why the cats would prefer Fussie Cat! 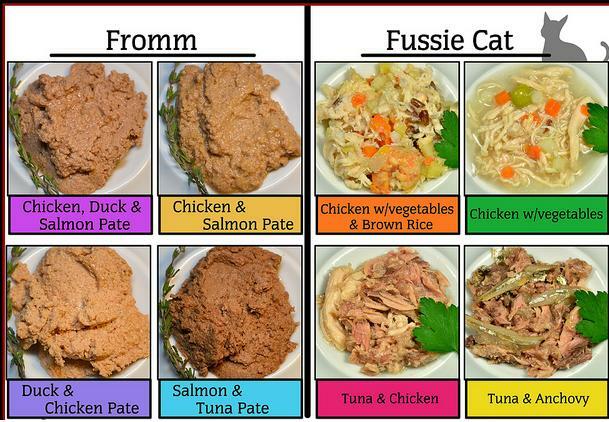 This is a comparison of Fromm vs Fussie Cat.